Let our professional consulting engineers help you achieve maximum engineering efficiency. 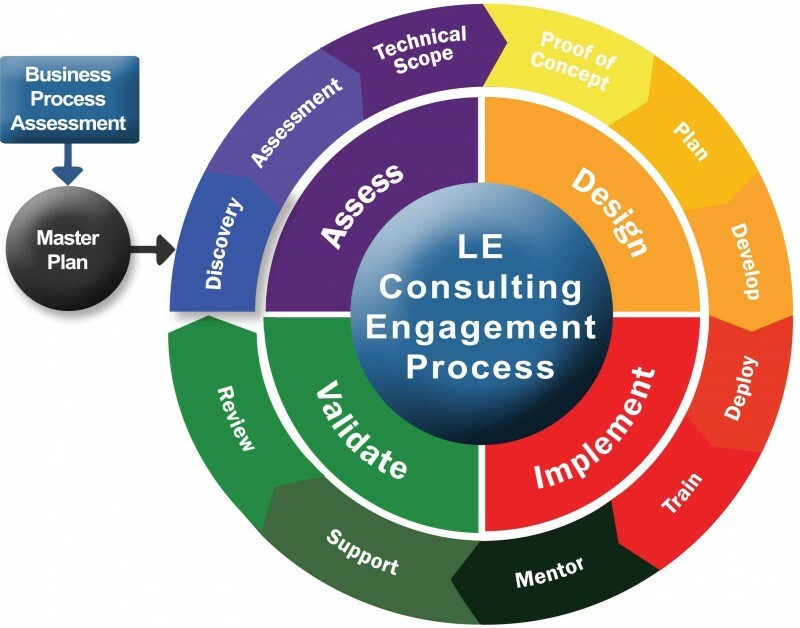 D3's consulting engagements follow a methodology called Lean Engineering. Lean Engineering is a continuous improvement process designed to increase the efficiency and horsepower of engineering departments within manufacturing companies to make them more competitive in their marketplace. The goal of a Lean Engineering initiative is to increase the amount of valid engineering data (Engineering Intelligence) produced per dollar invested in your engineering assets. The continual process to increase the amount of valid engineering data (Engineering Intelligence) produced per dollar invested. The process involves an honest & objective assessment of the value & performance of engineering assets in 5-key areas (pillars) in support of company objectives. Engineering assets will also be benchmarked against industry standards & best practices. We call this assessment, the Lean Engineering Maturity™ Model. After the assessment is performed, areas of inefficiencies and/or opportunities for increased value of Engineering Assets may be identified. It may then be determined that it makes sense to begin a continuous improvement initiative. Each incremental step is planned out and justified before changes are made. This "success and repeat" method works to gain the confidence of all the team members from top management down to the base worker. It is a 4-phased Continuous Improvement approach used to ensure quality and success. Are you ready to improve your Engineering department, boost profitability, and reduce costs? Contact D3 to schedule a consultation.